Creative writing is communication through revelation – it is the Self escaping into the open. No writer long remains incognito… Full of belief, sustained and elevated by the power of purpose, armed with the rules of grammar, you are ready for exposure. William Zinsser (in On Writing Well) likewise stresses that writing non-fiction is a ‘personal transaction’, and that the most important quality a writer should strive for is ‘humanity and warmth’. Intention is what we wish to accomplish with our writing. Call it the writer’s soul…. Writing is related to character. If your values are sound, your writing will be sound. But he warns that to achieve this essential ‘aliveness … is not a question of gimmicks to “personalise” the author.’ To write with style does not mean ‘to embellish the plain words so that the reader will recognise you as someone special.’ To ‘reach for gaudy similes and tinseled adjectives … is like adding a toupee.’ The problem with a toupee is that the person wearing it no longer looks like himself. You lose whatever it is that makes you unique. The reader will notice that you are putting on airs. Readers want the person who is talking to them to sound genuine. Therefore a fundamental rule is: be yourself…. Good writers are visible just behind their words…. Style is who you are. Do not explain too much. 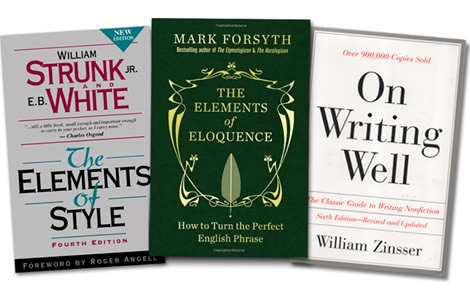 Avoid fancy words – ‘the elaborate, the pretentious, the coy, and the cute’. Use figures of speech sparingly’ (e.g. avoid using too many similes and metaphors.) But that does not mean avoiding them entirely; in fact, what distinguishes all great writing is precisely the way in which the writer uses figures of speech. Parataxis is like this. It’s good plain English. It’s one sentence. Then it’s another sentence. It’s direct. It’s farmer’s English. You don’t want to buy my cattle. They’re good cattle. You don’t know cattle. I’m going to have a drink. Then I’m going to break your jaw. I’m a paratactic farmer. My cattle are the best in England. Forsyth (and Shakespeare) agree that this is not the best that we can do. ‘Practice rhetoric in your common talk,’ says Shakespeare. I soon discovered, when reading Forsyth’s book, that I had used a number of figures of speech in my own ‘Fiva’ without realising it. The example about speaker attributions that I gave in my last blog – where I wrote “‘OK?” I said. “Yes,” said John’ – I now learned was a chiasmus, where the words of the first half are mirrored in the second. I can’t resist an aside here. Forsyth says the reason we like a chiasmus is that human beings are fond of symmetry. Which is why we like palindromes. And he claims that ‘the only reason that T.S. Eliot insisted on the middle initial was that he was painfully aware of what his name would have been without it, backwards. For a short while, he became so paranoid that he decided to use his middle name instead and introduced himself as T. Stearns Eliot.’ Well I never knew that. The reason I think this is effective at this point is that it’s so unexpected. (Just as the sensation was at the time.) It’s also the only time I used a litotes in the entire book. The iambic pentameter is the most natural form of English. It’s how the English language wants to be. And, in all seriousness, I didn’t even notice that that last sentence was one until I had typed it. … For a magic hour the sun beams down on us and we move in a timeless state that is worth countless hours of normal life. Stronger for it, we continue to wend our problematic and precarious way through life, space walking on the edge of our dreams, with laughter in our hearts and as free as the winds of heaven. The last phrase, though I didn’t realise it at the time, even managed to be an iambic pentameter. I must admit that my editor did not like either of those sentences, particularly the last, and I had a big fight with him. Originally the penultimate sentence was actually even grander than the final version, and I did the old film editor’s trick of throwing him off-guard by concentrating on that, and not on the last sentence. We spent so long arguing about it – with me eventually and deliberately giving way – that he completely forgot to discuss the last sentence. I later rather wish he hadn’t, because at the Banff Mountain Literature Festival in 1994 (where the book won the prize for the Best Book of Mountain Image), I had to read out that particular passage, and I remember that I nearly got the giggles when I came to the last two lines, so perilously near are they to a Ruskinian parody. In passing, I should say that Ruskin remains one of the greatest masters of the English language. It is only a pity that in his greatest work, Modern Painters, he spoils almost every chapter in the closing paragraphs by climbing into the pulpit, as it were, with the most high-blown bombast imaginable. … yet … yet … yet. It’s as if we’ve been hypnotised and are halfway between being awake and still asleep. … It’s a chaotic, ramshackle entanglement of ancient birch, littered with boulders and rocks of all sizes that are matted with moss and criss-crossed with old roots and rotten branches that shower droplets on us as we push the smaller ones out of the way. Directly facing us, blotting out the sky, is the great grey vertical sheet of the Troll Wall, a mile wide and a mile high, like an enormous defensive barricade fringed along its top with ferocious spikes to keep out any intruders, and completely blocking out any kind of mountain vista, or anything normal at all. Like a couple of inquisitive beetles that have wandered inadvertently into a hidden crack and have nowhere to go but up, we are now deeply immersed in one of the mountain’s most secret crevices, clambering over, around, and sometimes under, huge chockstones – enormous boulders jammed in a near-vertical slimy cleft (in climbing terms, a “chimney”), reeking with damp moss. Crawling ever upwards into the very bowels of the dinosaur. The great weight, the hurtling mass of John’s body is twisting me round – twisting me – twisting me – pulling me down. Wrenching me down and round to my right. When I hit a ledge and everything is brought to a shockingly abrupt halt, the style has to be even more fragmented, and staccato in brutally short sentences. Rock hard. Stuck fast. Head first. Fixed in time. Pinned like an insect. Of course, the problem with style is that it requires the writer to be quite daring, and sometimes the reader, and often the critics, misunderstand the intention. And sometimes even miss the point altogether. A particular stylistic problem I had with Fiva was to mimic the voice of a very enthusiastic (arguably overenthusiastic) nineteen-year-old. So a lot of qualifiers are left in. Again, I had quite a battle with the editors over this. In the end I did cut out a lot of verys (and one reader still thought I’d left too many in), but I had to retain a sufficient quantity to keep that over-eager tone. The breathless teenage voice that leaps off the first page never waivers. Not once. Rather, it becomes an unrelenting force, sweeping the reader ever higher on Norway’s Store Trolltind as events spiral out of control for two young, bold, and grossly inexperienced twins. The writer must never be afraid of being daring and experimental. Providing it remains clear, the writing must be both entertaining and interesting to read. And that depends mainly on how interestingly it is written. At the end of the day, for me a book – fiction or non-fiction alike – can be about almost anything, so long as it is well written. The sunny slow lulling afternoon yawns and moons through the dozy town. The sea lolls, laps and idles in, with fishes sleeping in its lap. The meadows still as Sunday, the shut-eye tasselled bulls, the goat-and-daisy dingles, nap happy and lazy. The dumb duck-ponds snooze. Clouds sag and pillow on Llaregyb Hill. Pigs grunt in a wet wallow-bath, and smile as they snort and dream. They dream of the acorned swill of the world, the rooting for pig-fruit, the bagpipe dugs of the mother sow, the squeal and snuffle of yesses of the women pigs in rut. They mud-bask and snout in the pig-loving sun; their tails curl; they rollick and slobber and snore to deep, smug, after-swill sleep. Donkeys angelically drowse on Donkey Down. Here I talk about the craft of writing and my experiences as an author.